Do You Really Want Goats? Height: ​Still young and growing. Personality: Super sweet and "in your pocket" friendly. Sage is a very dairy and elegantly handsome buckling that we purchased in 2017 with an eye to improve dairy strength, MSL and fore udder extension in future offspring. 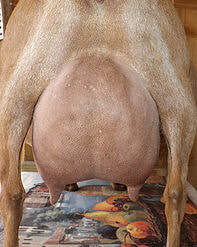 His dam SGCH Castle Rock Angelika 3*M VVEE 91 has incredibly smooth fore udder extension and attachment. According to her owner she is a very easy doe to milk, with a strong will to milk, lovely udder texture and easy to express teats. 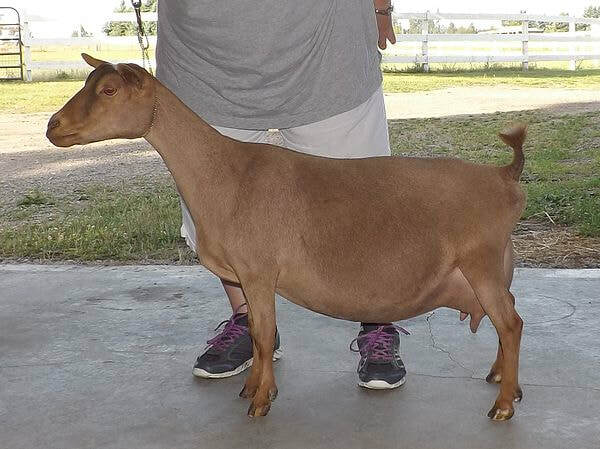 Sage's pedigree is peppered with some of my favorite goats and we used to own his paternal grandam's full brother, so it is fantastic to be able to bring these genetics in (and back in) to our breeding program. 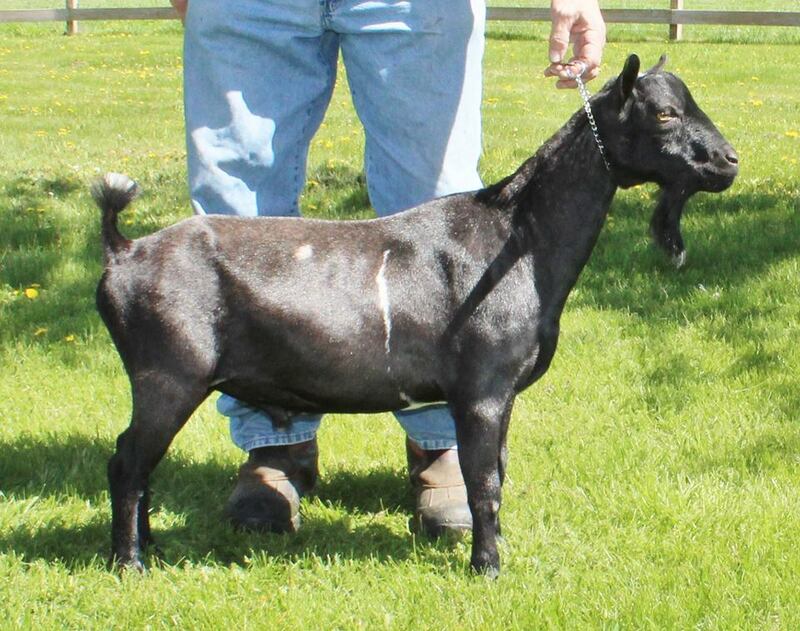 Thank you Marilyn at Almar Acres for entrusting us with such an exceptional buckling. You can view the individual kids that were born here by visiting our New Arrivals page. 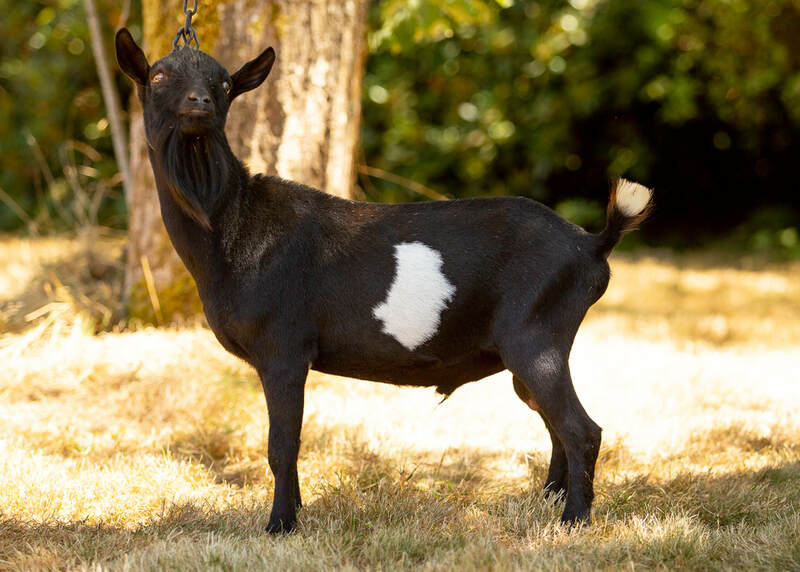 R Serenity BS Katalina (Almar Acres Black Sage *B x Night Heron Farm JB Katniss) won first place twice in her Jr class at the 2018 Southwest Washington Dairy Goat Association show in Chehelis, WA. 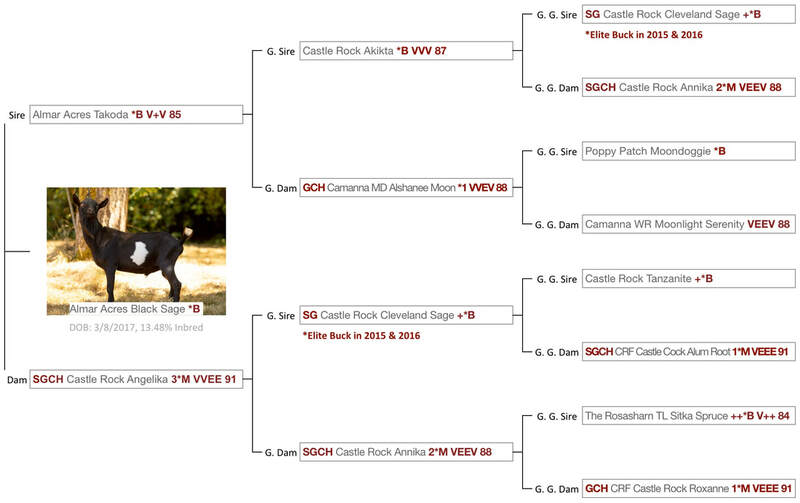 We do not own Sage's dam Castle Rock Angelika, but you can view her record on the CDCB website. ​Copyright 2017, all rights reserved. Unless otherwise noted, all images on this site are property of Night Heron Farm or Kristen Andersen Photography and can not be used without permission. To obtain permission, please contact us. If you ask we will usually say yes. Using an image without permission is theft.